Diamond Select has really been knocking it out of the park with their DC Animated product, and they have 4 great new offerings that will be listed in the new Preview solicitations for next month. There are a nice variety of characters in different formats and different materials. 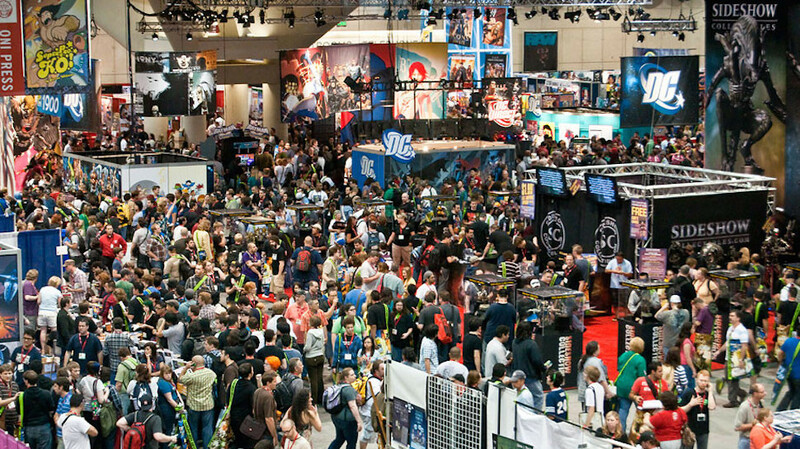 Check out the new offerings below and then check in with your local comic shop to pre-order them. A Diamond Select Toys release! A good partner-in-crime is worth her weight in gold! The Joker often fails to appreciate the value of his loving assistant Harley Quinn, but her value won’t be in question once you fill her with your spare change. 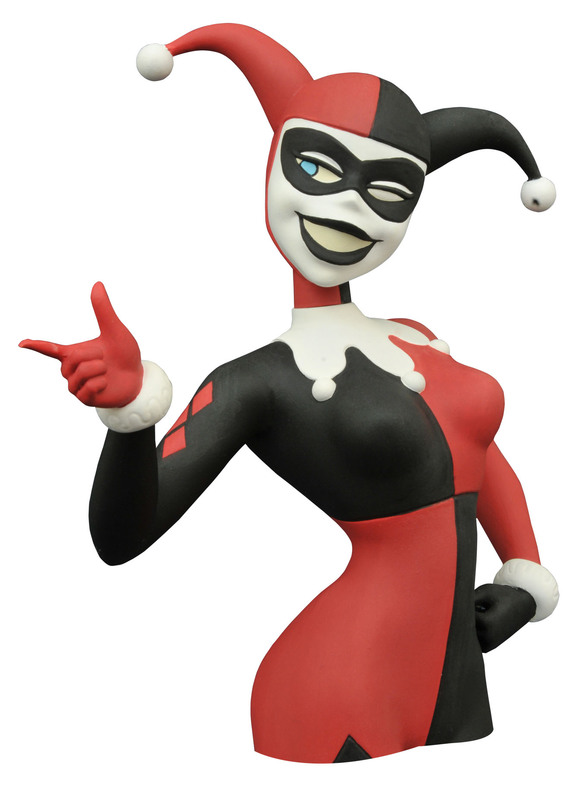 With a coin slot in the back and an access door in the base, this approximately 8″ vinyl bank depicts Harley as she appeared on Batman: The Animated Series, and features collectible-quality sculpting and paint. Best of all, she’s in scale to the companion Joker bank, so you can pair them up for the crime of the century! Packaged in a clear polybag. Sculpted by Varner Studios. A Diamond Select Toys release! You won’t have to flip a coin to decide whether or not you need this bust! 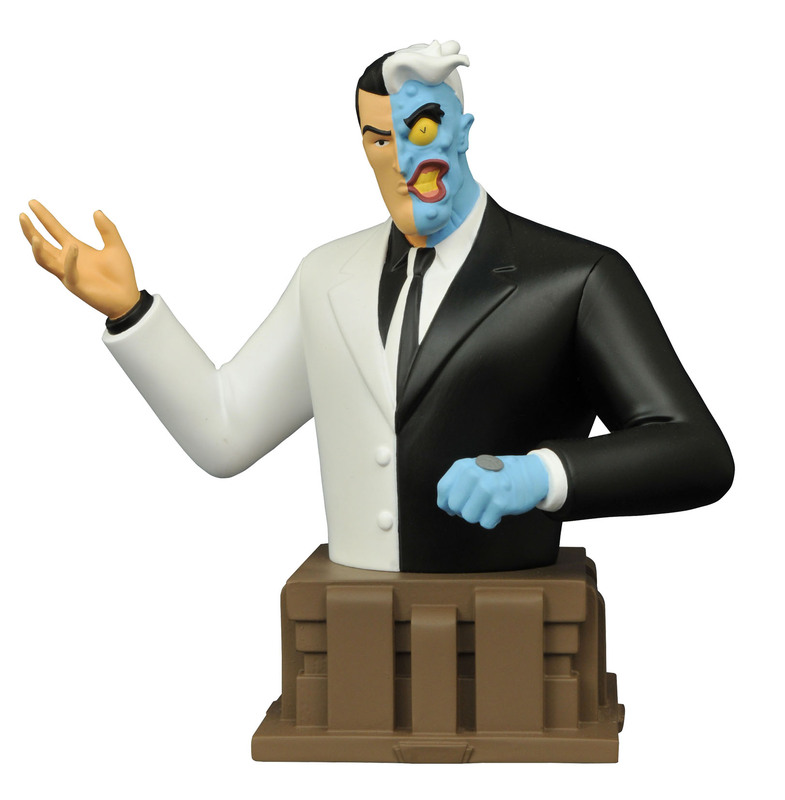 Joining DST’s line of resin busts based on Batman: The Animated Series, heavily scarred lawyer-turned-gangster Harvey Dent has been captured just as he appeared in the classic cartoon. Posed atop an art-deco base, this approximately 6″ resin sculpture of Two-Face comes with a certificate of authenticity, inside a full color box. Limited to 3,000 pieces! Sculpted by Varner Studios. A Diamond Select Toys release! Pour a tall glass of justice in two different pint glasses inspired by Gotham City locations from Batman: The Animated Series! 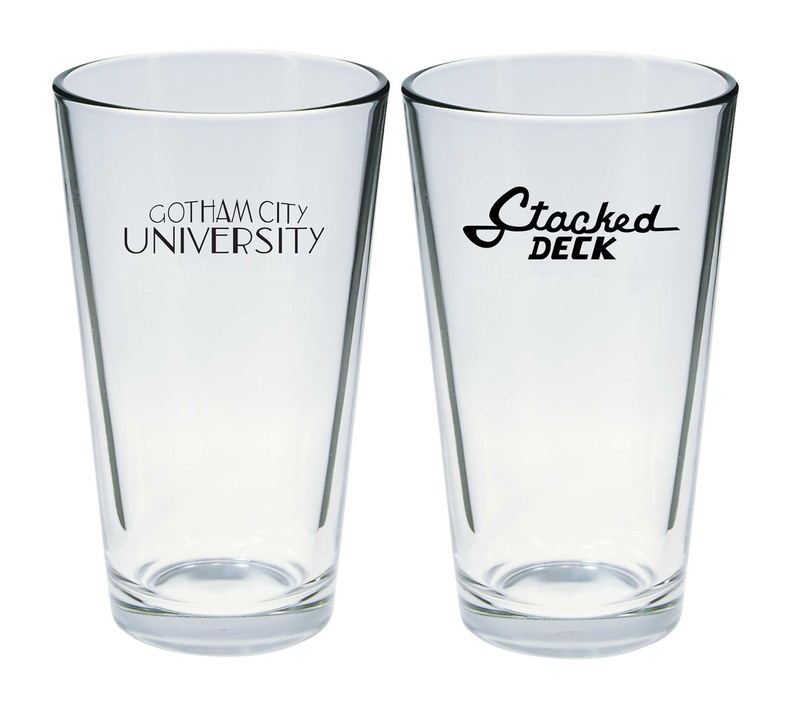 One glass is from The Stacked Deck, where super-villains go to exchange stories about how they “Almost Got ‘Im,” the other is from Gotham City University, where the students study hard and party harder. Each pint glass comes packaged in a full-color window box. A Diamond Select Toys release! Build your own league of heroines! 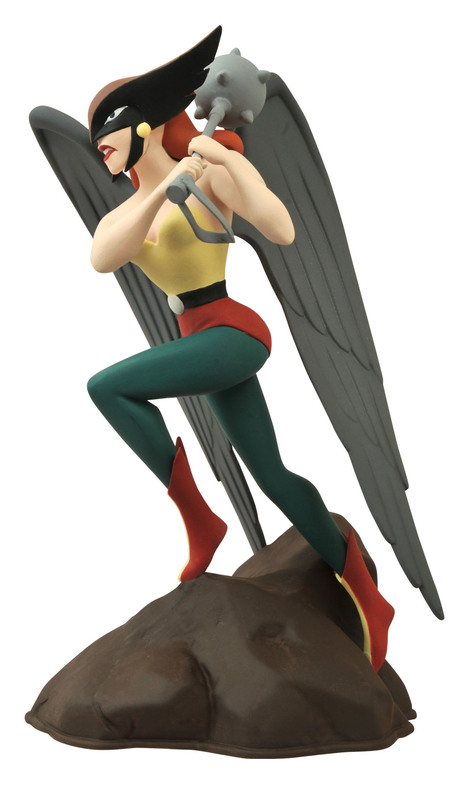 The line of DC Animated PVC statues continues with this sculpture of Hawkgirl in action! Depicting the winged Thanagarian warrior as she appeared on Justice League, this approximately 9″ scale plastic statue has Shayera Hol brandishing her mace in combat. Packaged in a full-color window box, Hawkgirl is in scale to other Femme Fatales statues, including Wonder Woman, Batgirl and Supergirl! Sculpted by Varner Studios.